Here's a list of questions that we frequently get from our website visitors. Simply click on the question to get the complete answer. What colors are your holsters available in? I don’t see a gun list. 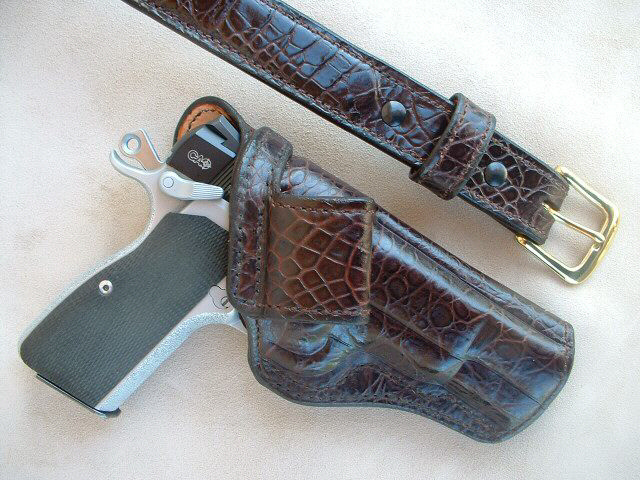 What guns are your holsters available for? My holster is very tight. What can I do to break it in? Why does it take so long to get a holster? Can I have X model holster with a thumb-break, rear shield, specified cant, etc., or does it have…? 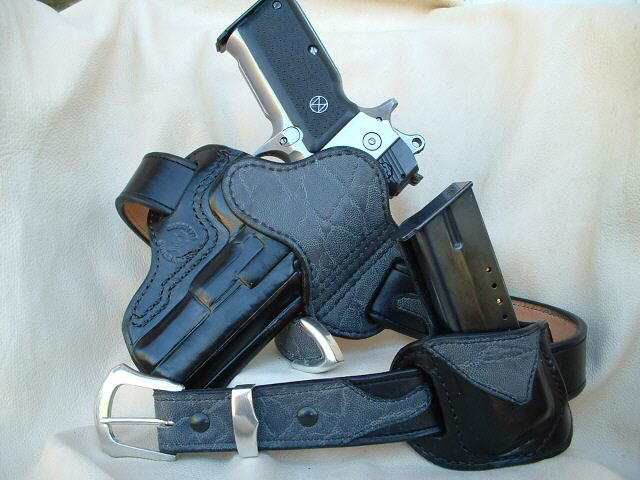 Do you offer lined holsters? To order, you can print the order form on this site, fill it out, and send it to me as an e-mail attachment, or just e-mail me with the specifications on your holster and your contact information. I will add you to my list and contact you a couple weeks prior to starting your order. I will also make payment arrangements at that time. I do not take payment nor ask for credit card info up-front when you place your order. (The exception is certain exotics, in which case I will require a 25% deposit to defray the cost of certain hides). Payment is accepted by check or money order mailed to my P.O. Box, thru Pay-pal, or credit/debit card.